Completes Power plant 6000 kva, including three generators, SACM MGOV16 RVR Hyperbar (formerly UD33V16S6D) turbo-charging. RVR (reduced volumetric ratio) engines provide significantly more power, while reducing the consummation of fuel oil than conventional high-performance engines, reducing the engine's temperature and mechanical stresses. The simple single-circuit cooling system is employed on the elimination of condensed water formation in the air intercoolers. Generator model: SACM MGO 16VRVR , Nominal power 2000 kva per generator. Year built 1984, electric and pneumatic starter installed, alternator UNELEC 2700 hours of functioning, in excellent conditions. Sold with digital electric control pannel, cooling system (aéro radiator), compressor of starting up, and silencer. 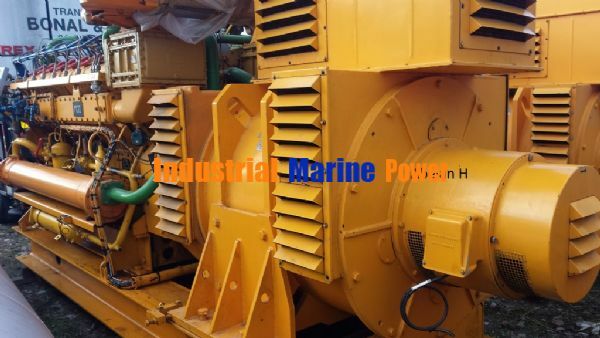 Central for Emergency energy backup genset is in excellent condition. 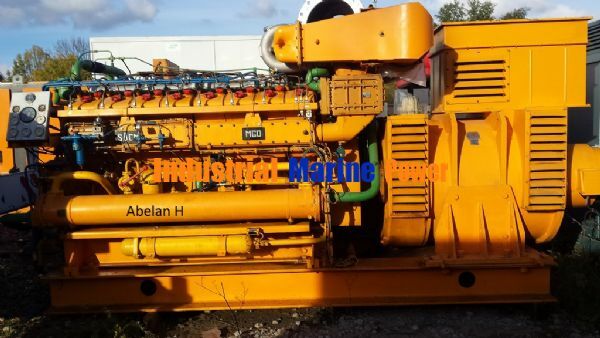 Abelan H company is the only holder and owner of this machine. We can send you other pictures on request, and the machine is visible to Villeneuve-la-Garenne 92390 ile de france in france. If you need more informations, contact us ( phone or mail ). is the engine still available?